Last time Met Helmets made a video about me, they flew over from Italy for a few days in brutally cold and frosty Devon. I was wearing so many layers that I could hardly move, and trying to be upbeat about getting up at 6am to see a sunrise that never broke through a dense layer of cloud. The video came out really well, and I enjoyed showing Jean-Pierre and Gian Luca around Teignbridge and Exeter, but when I heard the next film was to be shot in Italy I couldn’t hide my excitement. This time, Mr Bikes N Stuff was invited along too, and we boarded our flight to Milan anticipating stunning views, warm rays of late summer sun and endless bowls delicious of pasta. We were right about two of those – we did feast on the finest Italian fare, and Lake Como is incredibly indeed beautiful but despite imploring the sun to play ball, he most definitely didn’t have his hat on. 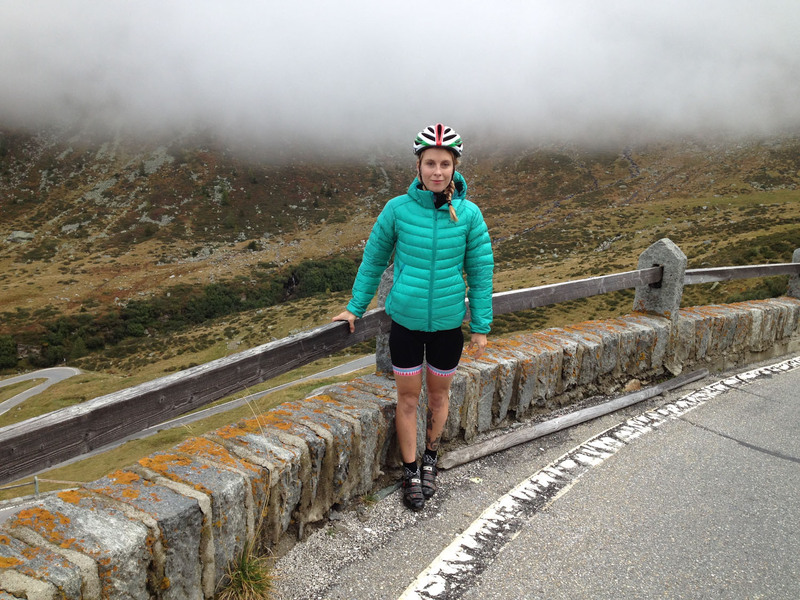 The first day, ignoring the dodgy sounding forecast, we donned some skimpy summer lycra and headed up to the border of Switzerland and the Splugen Pass. 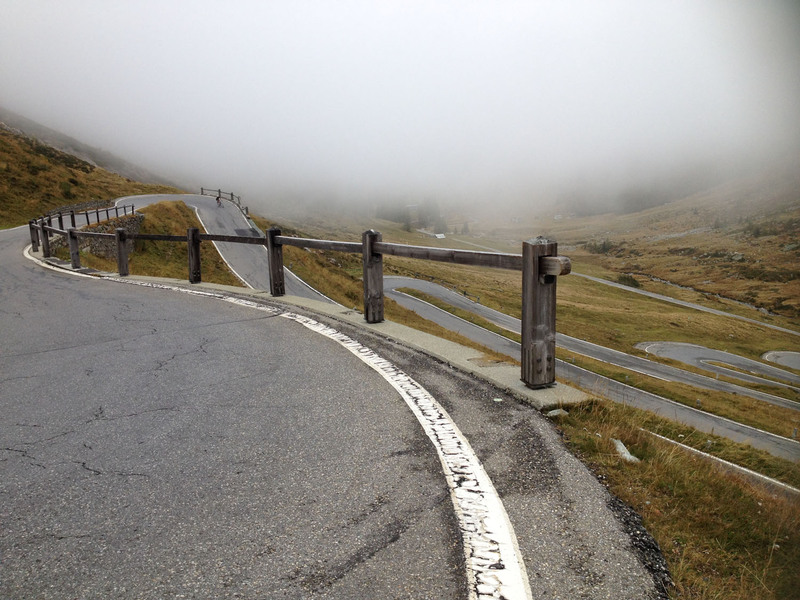 As we rounded the corner and saw the pass for the first time, the mist only added to the dramatic atmosphere as we saw what appeared to be a series of roads neatly stacked on top of one another. As we got closer, we spotted the multiple switchbacks that made up the pass, and became rather overexcited (which was the general theme for the whole trip). 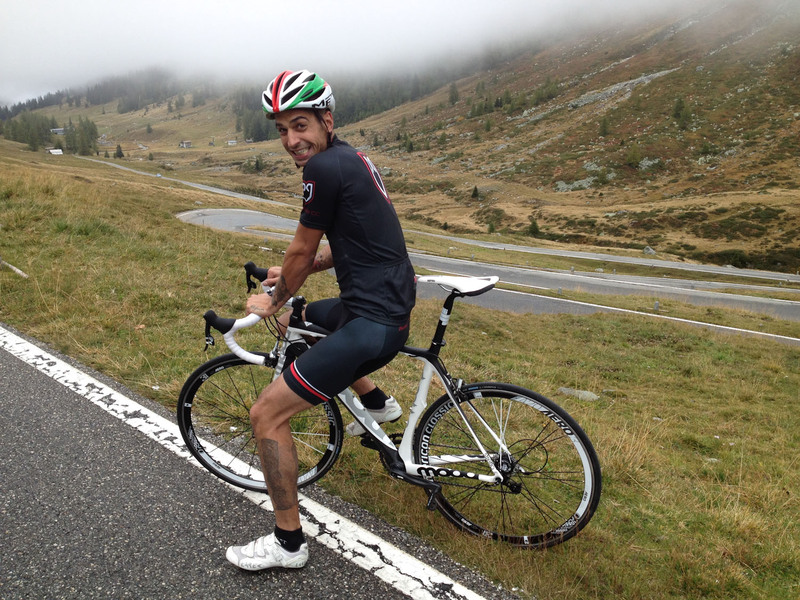 Even though we rode up and down, up and down, up and down for Gian Luca’s camera, we never got tired of it. It was bloody cold though – about 4 degrees. 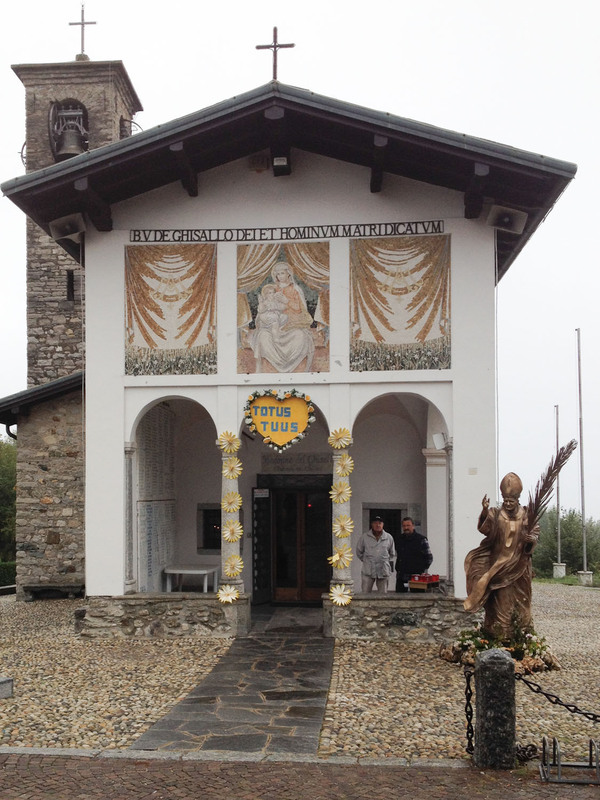 The next day we explored Madonna Del Ghisallo and the surrounding countryside. 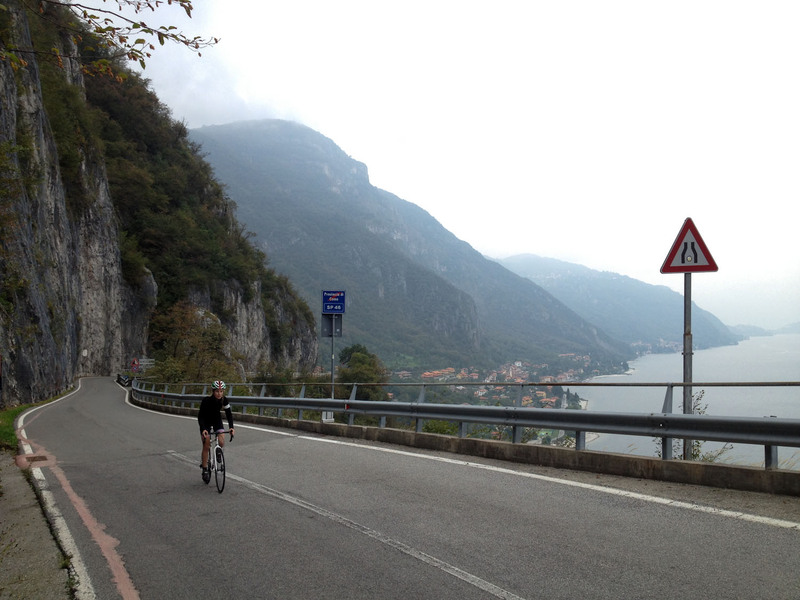 Cycling is big around Lake Como – despite the nasty dual carriageway encircling the lake, the roads away from the water are packed with cyclists enjoying lung busting climbs and sensational views. 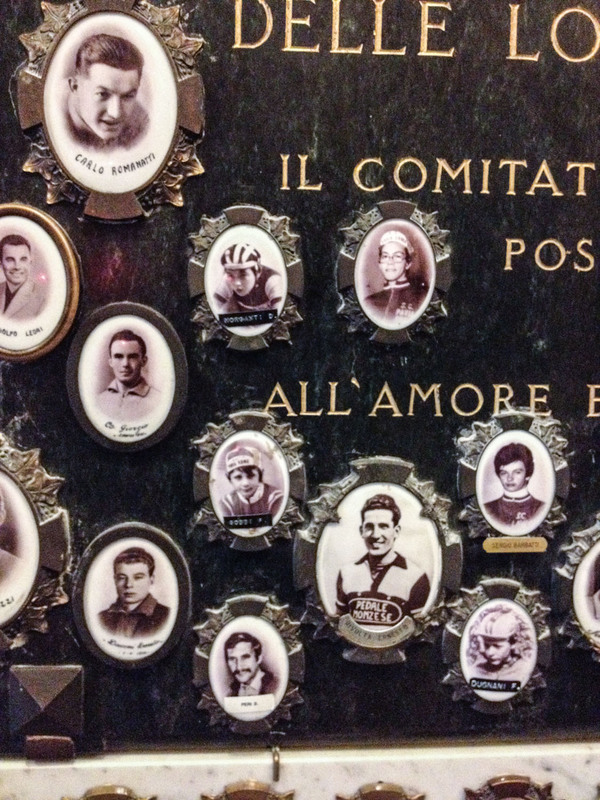 Fittingly, for an area with such strong ties with cycling, Madonna Del Ghisallo is a church dedicated to the bike, complete with frames and jerseys from the great and the good and small pictures, or shrines of sorts to local cyclists who’ve pedaled away to the roads in the sky. 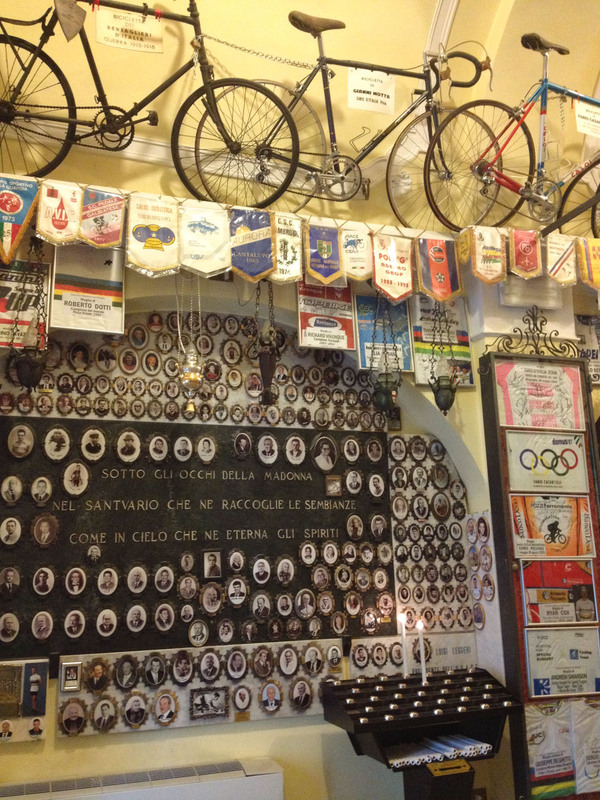 There’s a new museum of cycling next door but we didn’t explore that this time – we had cycling to do. 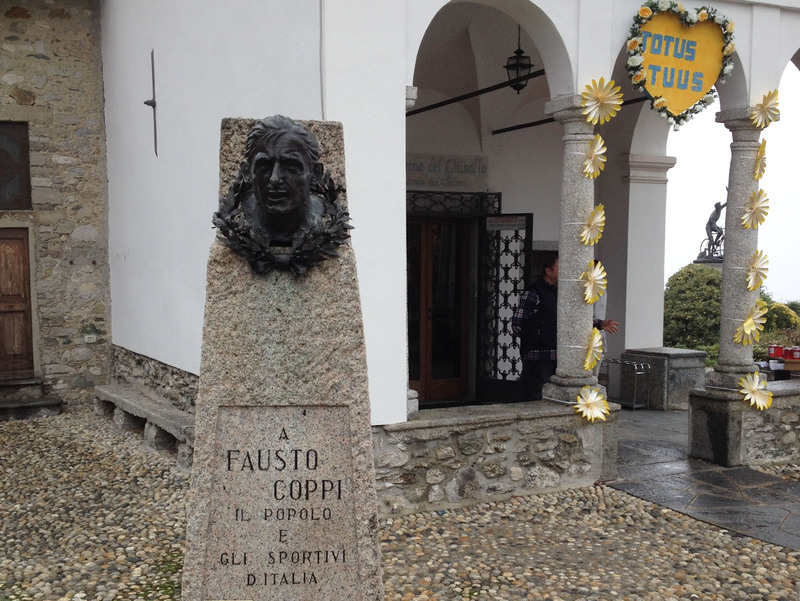 After lunch, we headed to the legendary Muro Di Sormano, a hellishly steep climb of between 17% and 25% which used to be in the Giro Di Lombardia before it was actually deemed too steep! From what I can tell, it returned in 2012 after the road was refurbished though I’m unsure whether it remains in the race today. The gradient is pretty nuts and of course Gian Luca had us getting on and off all the time – it was bloody difficult getting on, getting clipped in, turning a corner and getting going without actually falling off but we managed! It’s totally doable if you don’t though, so don’t let me put you off! After a little more riding, we headed back to our hotel by the lake before a really lovely meal with Jean Pierre’s family and Gian Luca which was the perfect end to a lovely few days. 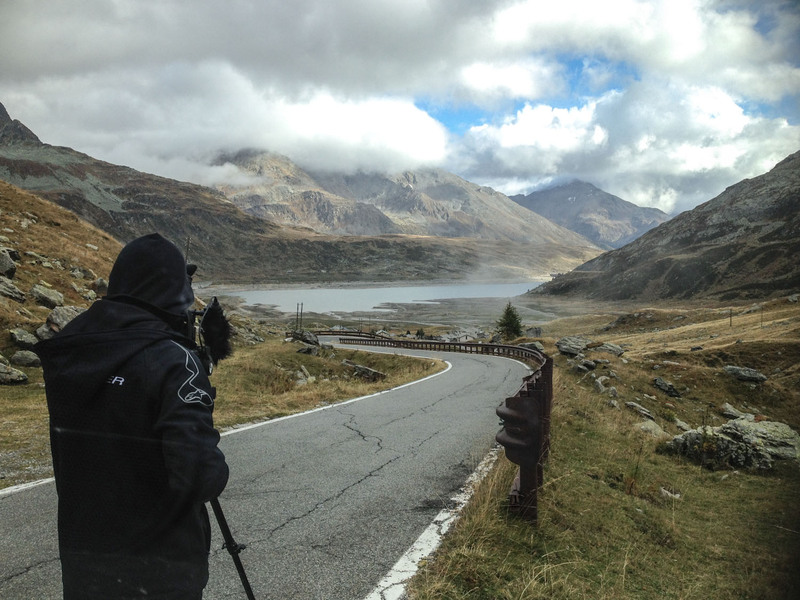 I definitely need to go back explore further – what we saw only whetted our appetites for Lombardy so I’m keen to spend a week or so riding near Lake Como. But for now, I’m looking forward to seeing my souvenir of the trip – Gian Luca’s film which should come out at the beginning of next year. 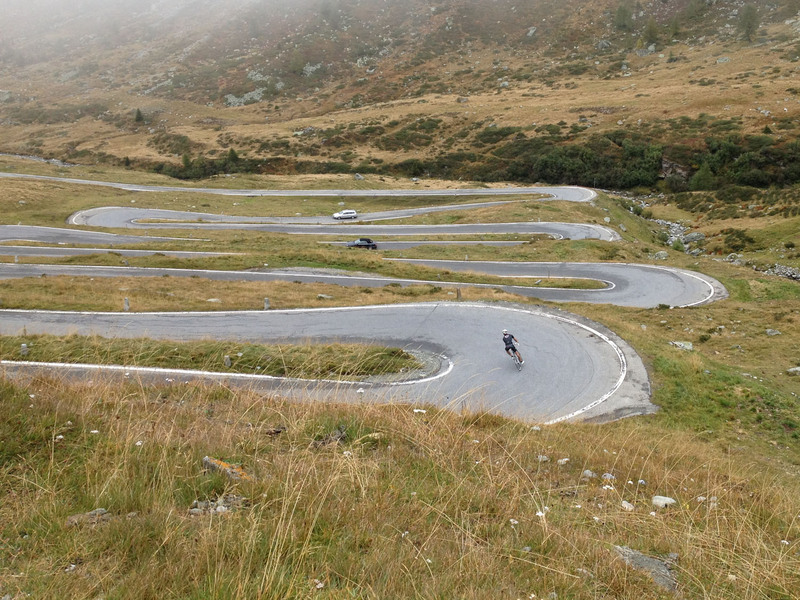 One of my dreams is to ride those roads around Como. Brilliant pictures – thanks for sharing! it’s fantastic, I hope you make it out there. Thanks! Pingback: Filming wth MET Helmets | Reading And Riding Can Seriously Damage Your Health.